You will be taken to the western water area. As you pass over the lovely Sea Garden you will see below the heaven of colorful corals and many different marine life. The cruise then passes over Sea Grass Bed where you will possibly see many green turtles in their natural habitat. All along there will be a running commentary telling you about the culture and history of the island and about the places you are passing by. You will also see the partially submerged shipwreck the Vixen, a part of its hull jutting out of the water. Finally the boat will anchor at a shallow (3-ft) water area in a bay where you will snorkel along the shoreline. The gears are provided by the operator. You can even get to the shore and relax on the sand and enjoy the view all around. On the way back a complimentary cocktail Rum Swizzle is offered while they play a background island tune. There is also a cash bar on board. The cruise lasts for 3 hours, departs daily from the dockyard (next to the ferry stop). 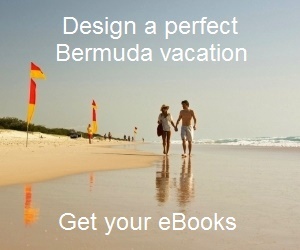 You will be first taken to a site of one of the Famous Shipwrecks of Bermuda, and then to another one for snorkeling. Alternatively they may also take you to a reef site for snorkeling. You can see lots of marine life and coral fish during this snorkeling trip which lasts for total of 3 hours. Instructions and equipment are given as part of the cost. Complimentary Rum Swizzle, an island cocktail is offered on the return trip. A cash bar also remains open. Shipwreck snorkel cruise departs on some days of the week and from Dockyard and Hamilton. This is a sailing and snorkeling trip in a catamaran. You will sail for about 45 minutes while hearing commentary from the crew telling you about the history of the island and its underwater eco system. You will then reach a beautiful snorkel area teeming with marine life and corals. You will be given mask, snorkel, fins, buoyancy vest etc to enjoy the snorkel. Complimentary Rum Swizzle, an island cocktail is offered on the return trip. A cash bar also remains open. The total trip duration is 3 hours. The tour departs from Dockyard. This is not exactly a snorkeling cruise. This is a guided snorkel tour that takes place from the Snorkel Park Beach at the dockyard and includes the admission to the park. You will be given a Sea-Doo underwater power scooter and all the instructions on how to use it. You can skim under the water surface at a fast speed while watching the beautiful corals, fans and fishes, or dive to take a closer look at the reef fish. It lasts for 2 hours and departs daily from the Island Tour Center next to the Dockyard Watersports Center. Sightseeing & Snorkel Cruise: $70 per adult and $50 per child between 5-12 years. Shipwreck Snorkeling Cruise: $70 per adult and $50 per child between 5-12 years. Catamaran Sail & Snorkel: $70 per adult and $50 per child between 5-12 years. Power Snorkeling: $74 per person. 1) Dockyard (West End), next to the Ferry Stop. Most boat tours depart from here. Island Tour Center is the sales arm of Fantasea and takes booking. They are located at the Royal Naval Dockyard, Sandys (Dockyard Watersports Center, North Arm). 3) Fantasea snorkel tour experience in Bermuda: A visitor's experience of Fantasea boat tour for snorkeling.